The New Year encourages people to focus on a healthier lifestyle by changing their diet and exercise, but what about the products they use around their home? Are your cleaning products toxic to your health? As for me, I have moved a number of times, packing up the same old toxic cleaners from house to house to house. Finally, I am realizing how terrible these products are. It is ironic because I have changed so much about my health since I had my what-I-call “health breakdown”. A.k.a my thousands of dollars spent on tests and doctors. So here I am in my quest to become healthier on all levels of my life. Now it’s time I start looking at my cleaning products too! So what cleaning products are natural yet effective? 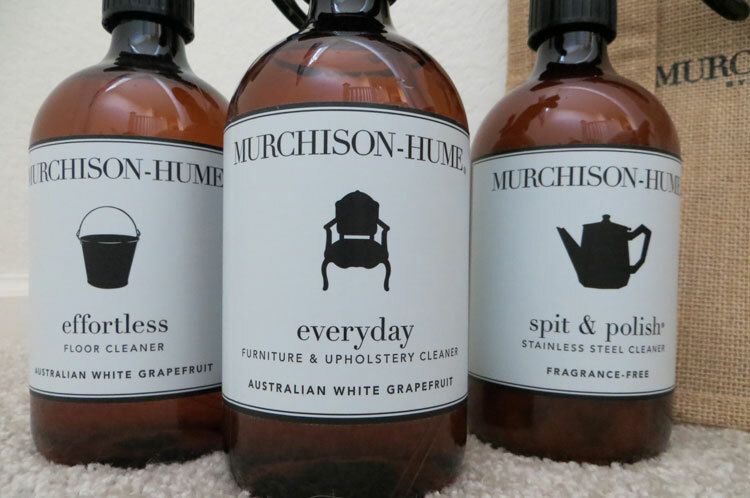 I’ve been using Murchison-Hume cleaners in my home for the past month and have been happy with their plant-based products. The cleaning results are good and the products are 99% natural and 100% cruelty free. 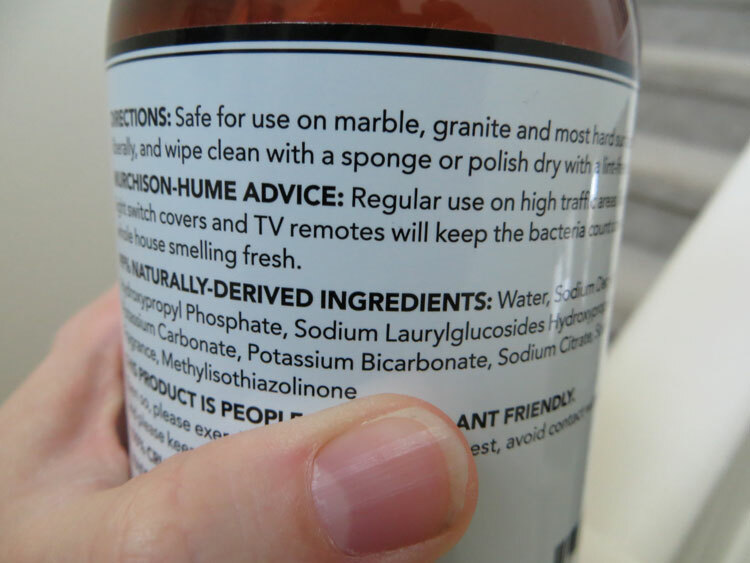 Murchison-Hume was created by former Fashion Editor and mother of two, Max Kater when her son developed allergic sensitivities to common household cleaning products. She made it her mission to create cleaning and personal care products that would be safe, easy to use, beautiful, and effective. All of their ingredients are of the highest quality and their formulations are designed to be highly effective, while maintaining product safety and stability. I was in shock while reading the difference between these non-toxic cleaners and comparing them to the cleaners I had under my kitchen and bathroom sinks. 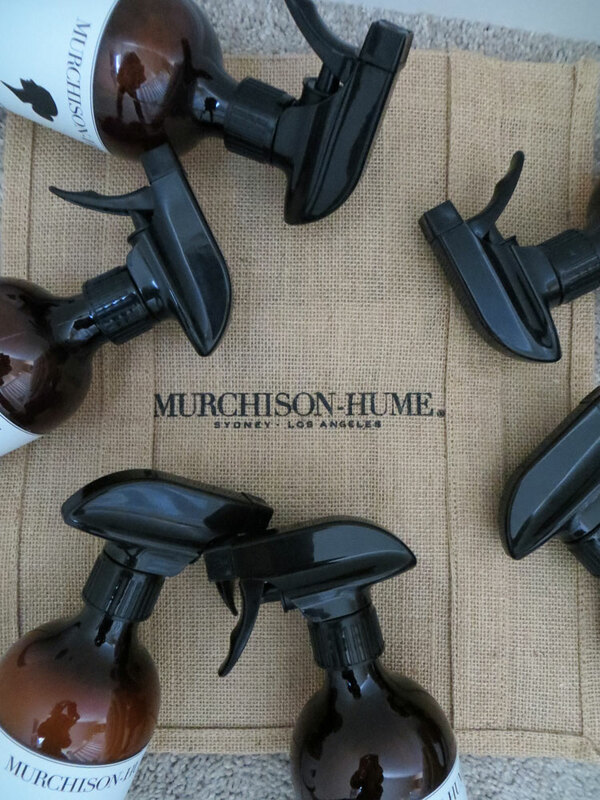 While the cleaners I currently owned were filled with chemicals and bleach, I found Murchison-Hume cleaning products are completely free of ammonias, bleach, dyes, formaldehyde, parabens, and phthalates. I was happy with their ingredient list, and the fact they were not harmful to kids or pets… but how well do they work? 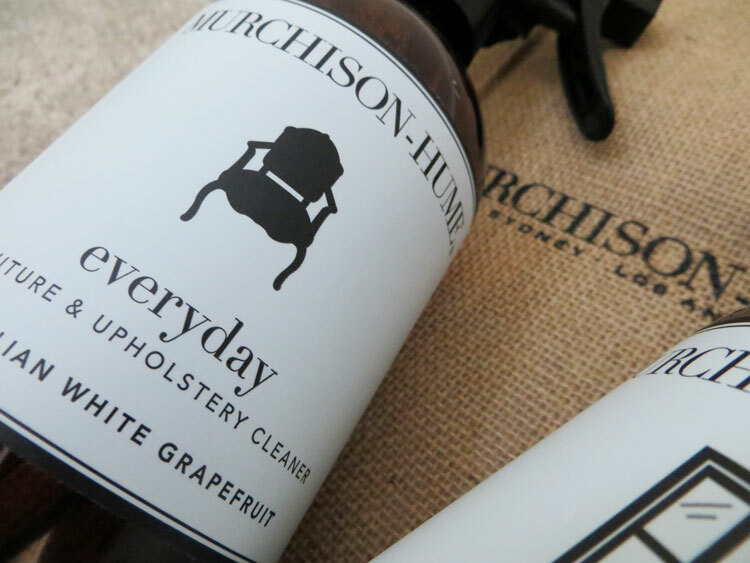 So far I have used the Everyday Furniture & Upholstery Cleaner, Spit & Polish Stainless Steel Cleaner and the Counter Safe All Purpose Cleaner. I can’t exactly tell you my home is free of germs, (I don’t have the superpower of seeing germs), but I will say – my home feels that way! It smells and looks great! Lastly, my finally reason to use Murchison-Hume cleaners is because they are made in the USA. Giveaway! Murchison-Hume will provide one lucky reader with their very own Home Starter Kit (a $59 value!). The Murchison-Hume Home Starter Kit retails for $59. It includes Bathroom Cleaner, Glass Cleaner, Everyday Furniture & Upholstery Cleaner, Effortless Floor Cleaner, Spit & Polish Stainless Steel Cleaner, Counter Safe All Purpose Cleaner, and Murchison-Hume Jute Tote. Giveaway is open to US only and Murchison-Hume cannot ship to P.O. boxes or APO. Connect with Murchison Hume on Facebook, Twitter, Pinterest and Instagram. 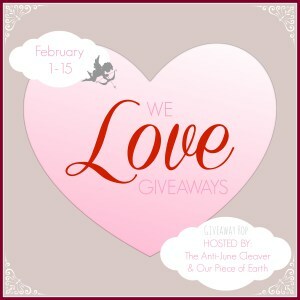 This giveaway is a part of a fun Valentine’s Hop called “We Love Giveaways” which is hosted by The The Anti-June Cleaver and Our Piece of Earth. It involves a group of bloggers who are all giving away prizes. This giveaway will end on Feb. 15 at 11:59pm. 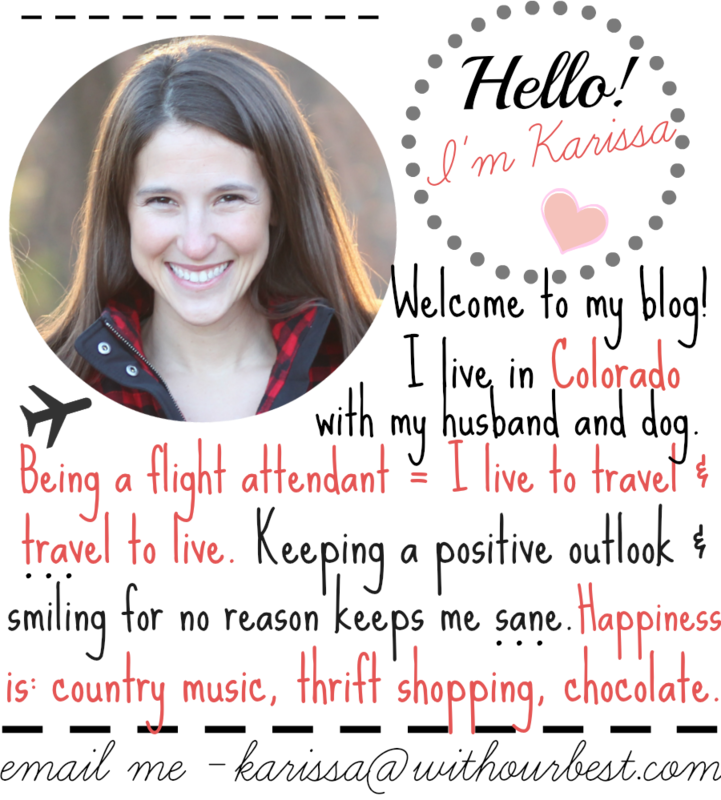 Make sure to enter my giveaway, and then enter the other blogger on the linky! Of course everyone wants a clean fresh home. But so many cleaners smell like chemicals and are unpleasant. This seems like a nice treat – grapefruit! I use Ava Anderson (I’m a consultant) but love hearing how other companies are making it a priority to have safe cleaning products! This is what we all need! I would most like to try the Effortless floor cleaner. I would love to see how it cleans my kitchen floor. I would like to try the Counter safe All Purpose cleaner. My husband has a habit of cleaning the counters with lysol and then forgetting to wipe them down after. This seems like it would be much safer! I am most excited to use the Effortless Floor Cleaner for our bathroom. The all purpose cleaner!! I love something I can use to clean everything!! The stainless steel cleaner how cool. I would like to try the Effortless Floor Cleaner to use on my entire downstairs tile floors. I’d like to use the Bathroom Cleaner in our bathrooms. I am most looking forward to trying the Counter Safe All Purpose Cleaner! 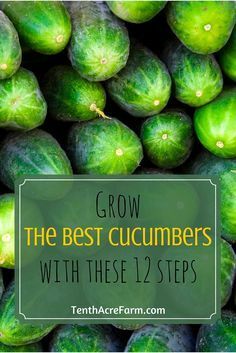 I would use it mostly in my kitchen on my counters & sink/faucet area! I am excited about the Counter Safe All Purpose Cleaner and would use it on my walls. I’d like to try the Spit & Polish Stainless Steel Cleaner in my kitchen sink. I would love to try the floor cleaner. I think I would love the smell. I would like to use the Effortless Floor Cleaner. I would use it for my kitchen floor and bathroom floor. I would love to try the White Grapefruit Floor Clearner. These look great. I would start right away with trying the Effortless Floor Cleaner and Counter Safe All Purpose Cleaner. 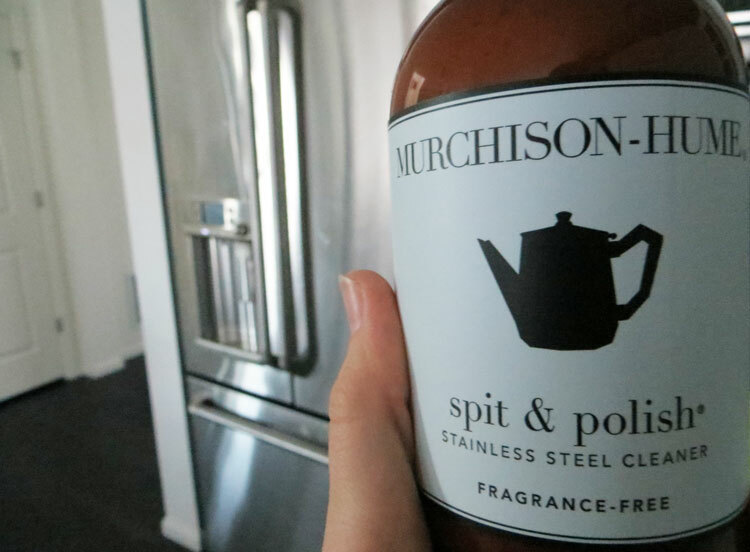 I’d like to give the Spit & Polish Stainless Steel Cleaner a try!